Hello everyone! Suwabe (@gsc_suwabe) from the Corporate Planning Division here! I hope everyone had a good Golden Week… even if you’re not in Japan! 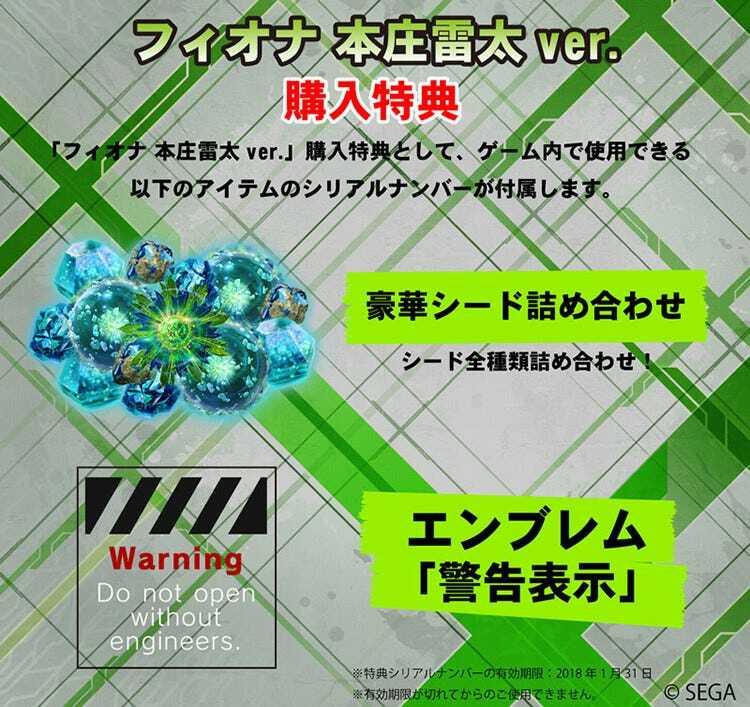 From the popular arcade game that has been running since 2009, “BORDER BREAK”, comes a figure of the well-known system operator Fiona based on an illustration by Honjou Raita! She is posed with a gentle smile on her face as she holds and stands upon the large “Tear Downer” sword that is normally used by the Blast Runner mecha. 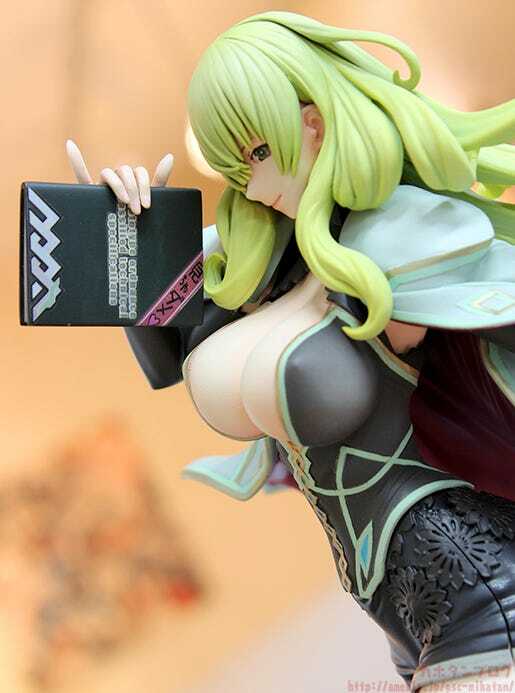 Fiona is the idol of many male characters in the series, and this figure shows exactly why! Be sure to add her to your collection! This product includes a serial code that can be used in the game to unlock a “Deluxe Seed Assortment” and “Emblem: Warning Label”. Product Page: Fiona: Honjou Raita ver. A lovely 1/7th scale figure of everyone’s idol Fiona based on an original illustration by Honjou Raita! 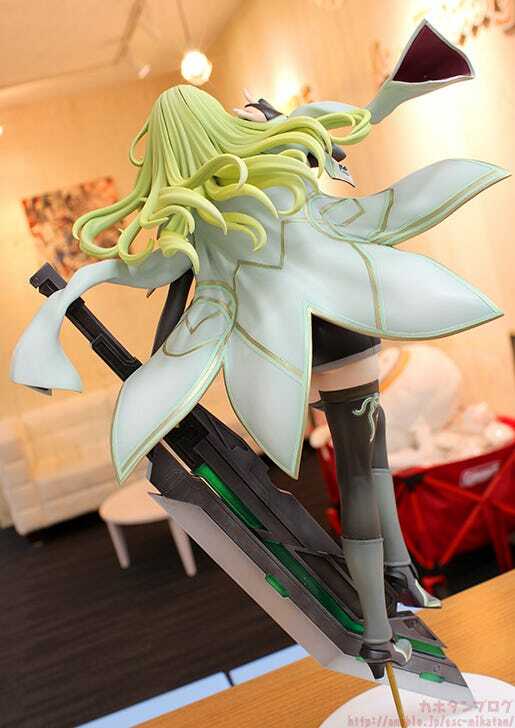 Not to mention that she is posed holding the magic sword Tear Downer, a sight that was never even in the game itself! Just one photo is more than enough to get your senses all fired-up! She also looks stunning from the back, with her outfit fluttering outward and each of the strands of her hair flowing around her creating a lovely, dynamic appearance. The petal-like shapes that make up her coat have been sculpted and painted so beautifully, and the shape leaves open little gaps to get a nice look at her legs too! So much detail!! I don’t know where to start! That enticing face with a slight smile, the eye-catching cleavage, the nicely toned waist and tight-fitting skirt with intricate creases… there is simply no end to the enjoyment that this figure has to bring!! A Never Ending Figure! The flower shapes on her hips are also sculpted onto the design that sticks out above the dress itself for a more three-dimensional effect that adds even more variety to the design! In her hands she holds a file carefully labelled “No peeking ♡“! ▲ Looking from a lower angle captures the movement of her hair and outfit even better! The coat can also be removed! ▲ Removing the coat allows you to enjoy even more of her slender body! Her large chest contrasting with her slim arm! Her hips… and that bottom! Delicious! ▲ The tight look of the stockings on her thighs too! I just want to dive in! Up for preorder from the GOODSMILE ONLINE SHOP until 18th May 2017 (Thu) at 12:00JST!